Happy Earth Day! 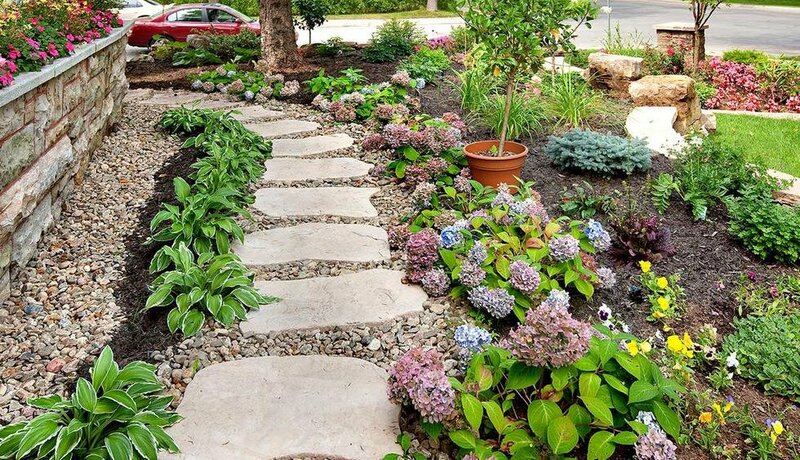 What better way is there to enjoy mother nature than by strolling through a beautiful garden path? 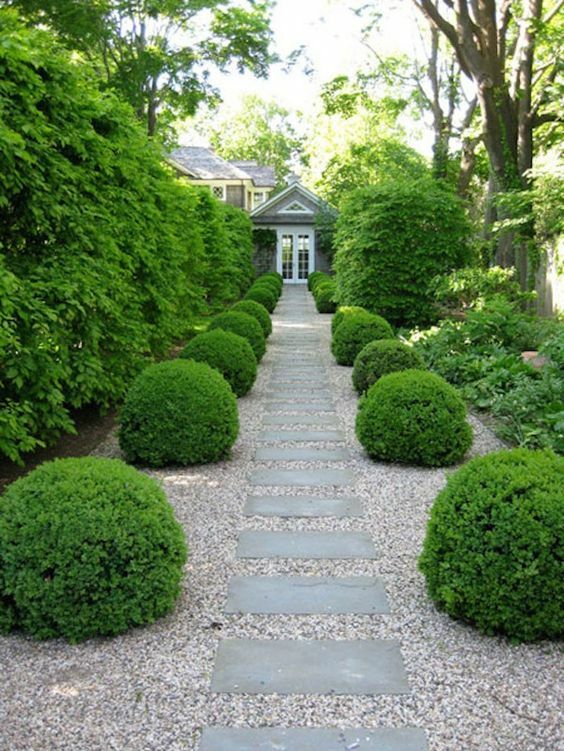 A well designed garden path can create an inviting atmosphere for you and your guests, plus it can enhance the functionality of your garden. 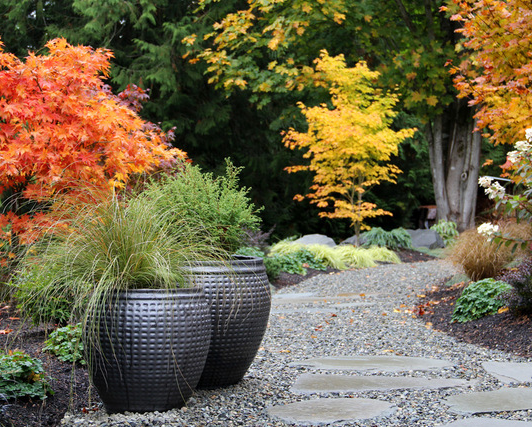 There are numerous ways you can create a alluring and fun garden path, you just need to think outside the box! A path that curves and disappears around a corner draws attention to what lies beyond. 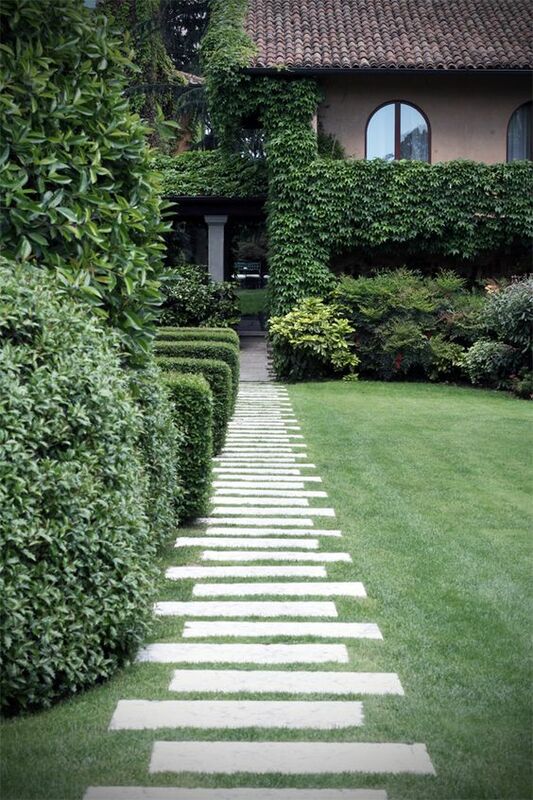 A straight, narrow path can make a garden appear longer, especially if the end point is hidden. We’ve collected some of our favorite garden path ideas to help inspire your design. 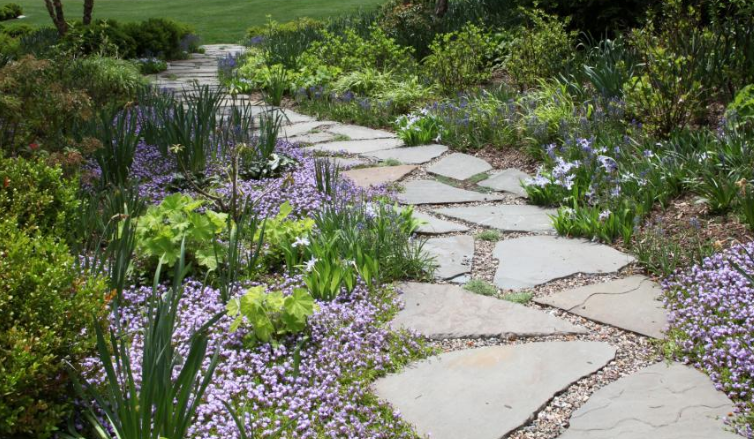 Techo Bloc’s Maya stone slab is an excellent way to enhance your garden path. These slabs come in 4 different earth tone colors to mimic the natural beauty of real stone. Irregular Bluestone slabs give off a rustic look. The irregularity and sharp edges of the stone will contrast nicely with the delicate softness of your flower surround. 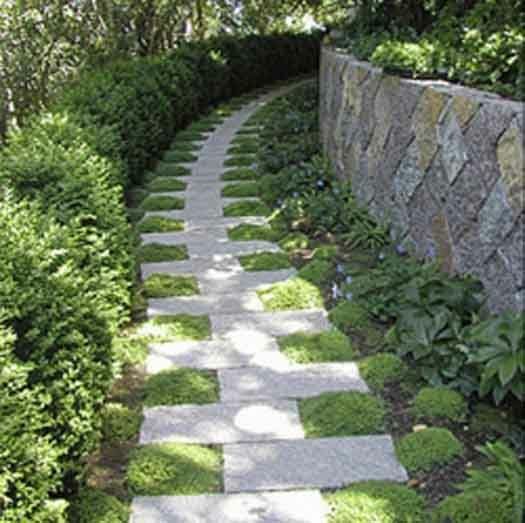 Lay granite or bluestone pattern stock in crushed stone to create a minimalist garden path with clean lines. 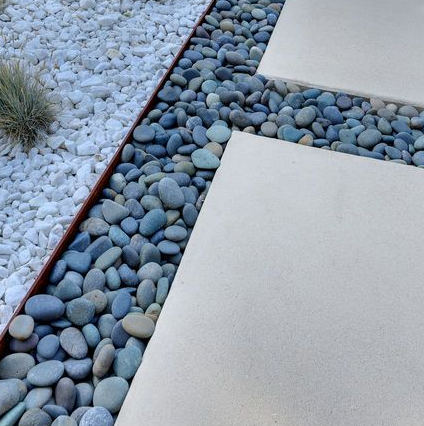 You may opt to surround the granite with black Mexican beach pebbles to give a striking contrast. 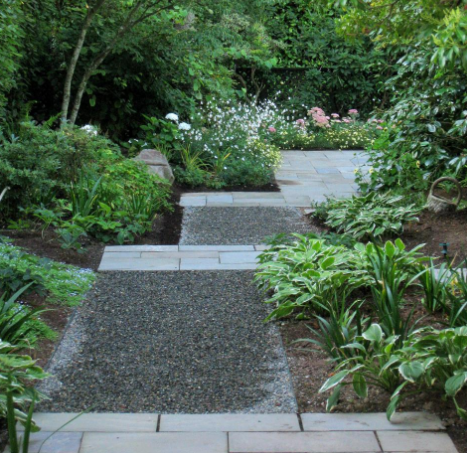 To expand on Idea #3, try creating landings out of bluestone or granite pattern and alternate with crushed stone. These varying layers of texture and rectangular forms will create visual appeal. Instead of laying stone in a straight line, mix it up by staggering 12″ x 36″ stone planks. The alternating stones draws the eye from side to side and creates an elongated appearance. There are many versatile ways to lay brick and one option for your garden path is to make basket weave squares. 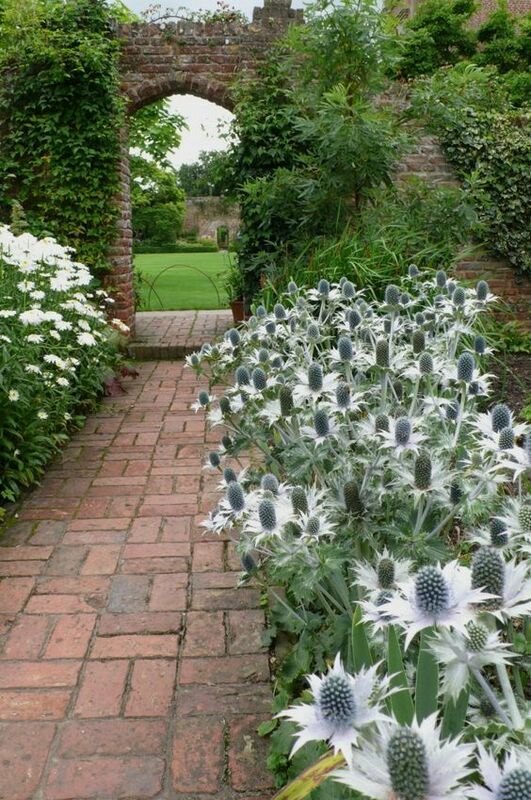 Brick is timeless and it’ll add charm to your garden. 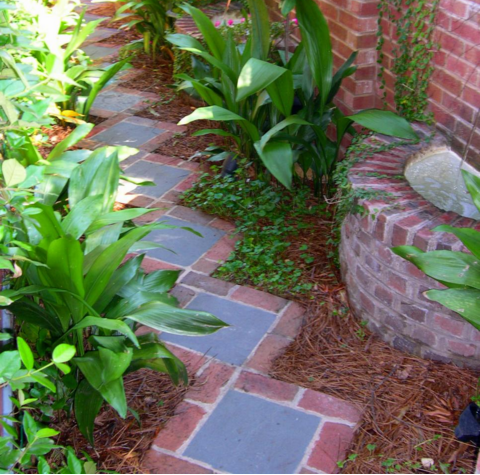 Another option is to surround a 12″ x 12″ bluestone square to create colorful garden steppers. 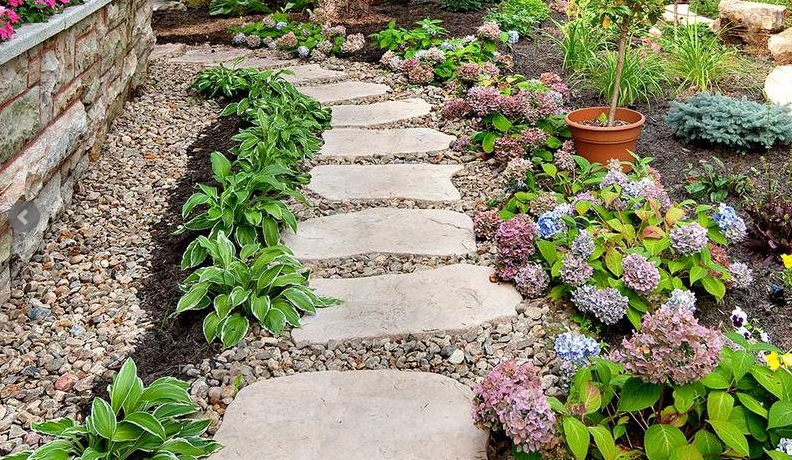 Let us know which garden path design was your favorite in the comments below! You can find all these materials at TLC Supply in Quincy, MA. Please visit our website to see even more hardscape and masonry products ranging from bluestone,granite,brick,natural stone,block,sand,cement, and much more! Before you go, be sure to check out last year’s Earth Day post on Permeable Pavers.